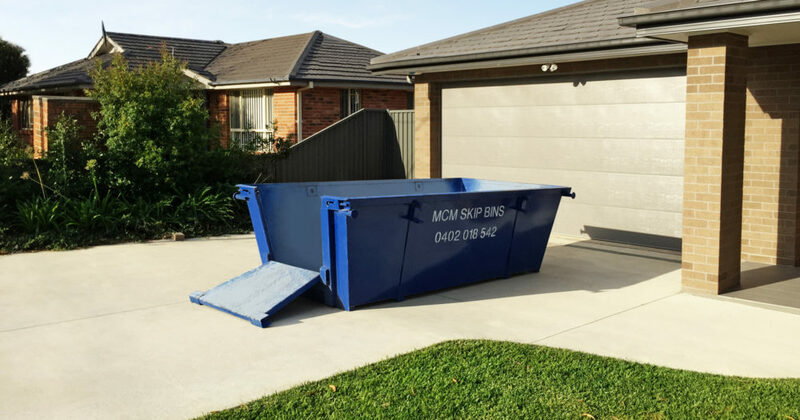 Skip bin hire in Oyster Bay has been provided by MCM Skip Bins since 2003. Locally owned and operated MCM strive to make easy and affordable skip bins available for your needs at a moments notice. Renovating, landscaping, cleaning out a house, townhouse or villa? Your waste removal needs can be solved by us. We offer you a variety of skip bin sizes in 3, 4 ,6 and 8 metre skip bins. Not sure what size you need? Our friendly staff have over 15 years experience they know all the right questions to ask you to determine the right size bin for your rubbish needs. The waste taken away in our skip bins is taken to facilities that sort through and recycle any materials that can be used again. We recognise the strain placed on our landfills and think it is important we recycle and to help the environment in the ways available to us in our industry. We also offer recycle bins for just sandstone, brick or concrete at a lesser cost. Wind your way down Carvers Rd to the quiet and peaceful streets of the lovely Oyster Bay. Oyster Bay is nestled on the southern banks of the Georges River in the Sutherland Shire. Oyster Bay is around 26km from the centre of Sydney and has houses, townhouses and villas set in natural bushland dispersed with tree filled reserves. Some Oyster Bay properties boast fabulous waterfront positions. The sandstone peninsular of Oyster Bay sometimes presents our drivers with tricky access to properties and placement of their skip bins. Our drivers are loaded with years of experience. We even have a hook lift truck and hook lift bin set-up designed to be able to place bins in tight spaces, up right of ways or in low difficult spaces. Oyster Bay is the proud home of the George River Football Club where many families enjoy the lively atmosphere of a game of soccer. Oyster Bay Primary School is also nestled in the trees of Oyster Bay. The school taking care of education needs from K-6. Since 1970 Oyster Bay Primary School has hosted the Oyster Bay Arts and Craft Festival the last weekend of May every year. The festival is popular with Artists and Crafters, which sees a ticketed opening night and many events over the weekend.